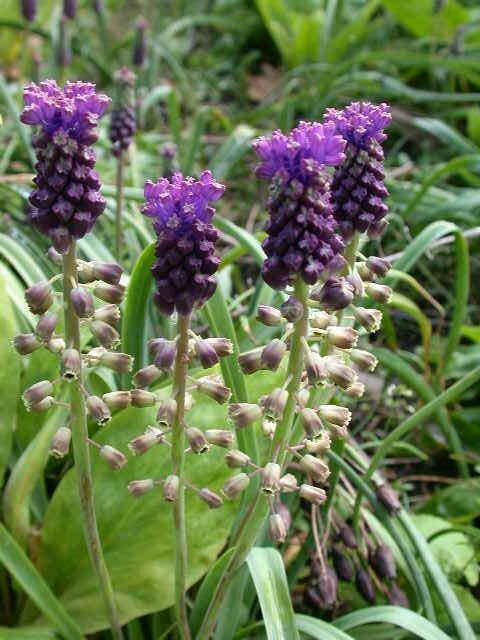 These small bulbs produce masses of compact spikes of flowers about 6" tall. Most are in shades of blue , sometimes with a strong contrast between the top and the bottom of the flower. The one we offer grows freely in the fields of S Europe in full sun. It can be naturalised. The bulbs are planted in the autumn 4" deep and 3" apart in any reasonable soil in sun. A delightful dwarf grape hyacinth of a wonderful shade of palest blue. Well deserving of its AGM in the trial, it is never an embarassment. We have a few to spare.